The glass art world is still reeling from the news that one of its leading artists and educators Stephen Rolfe Powell died suddenly last weekend at the age of 67. The sad event is even more shocking because of Stephen's vitality. Though he may have been old enough to retire, Stephen's possessed a legendary physical strength that allowed him to make his massive vessels festooned with colorful murrini plumage, as well as unfailingly upbeat energy that fueled his drive to make tiny Centre College in Danville, Kentucky, into an unlikely center for glass education. He exuded a youthful vigor and intensity that belied his years. Equally impressive was his warmth, generosity, and hospitality, a reflection of his Southern roots, which helped establish his prominence in the glass community. 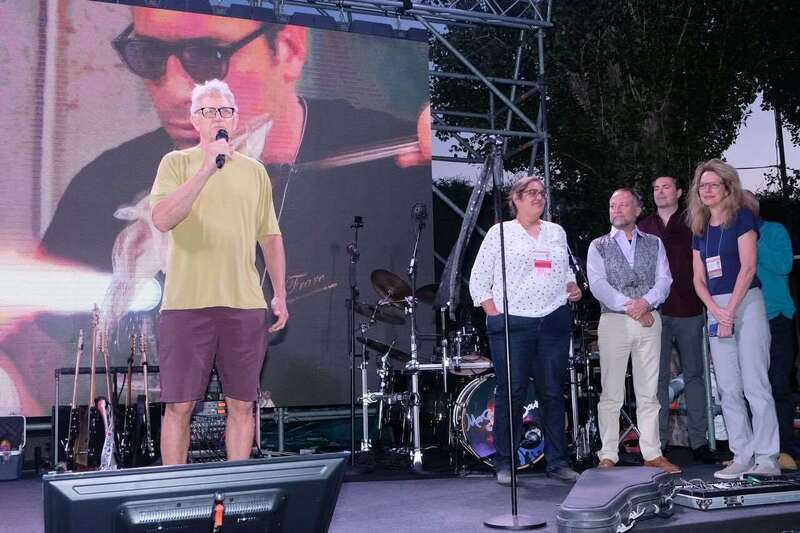 Until recently, he was vice-president of the Glass Art Society, and a highly visible presence at the landmark Murano conference in 2018. Stephen was born in Birmingham, Alabama, in 1951, and earned his BA in painting and ceramics from the same Kentucky college where he'd go on to teach. After graduating from Centre College in 1974, he spent time teaching art both at a state prison and a small private school. He earned his MFA in ceramics from Louisiana State University in 1983, where he also got his first experiences with the material of glass. He would devote his life to glass and build a nationally recognized program at Centre College, where he returned as a professor of ceramics and sculpture in 1983. Just two years later, he built a hot glass studio on top of the roof of a campus building, but fully realized the department with a purpose built glass facility that opened in 1998 as part of the college's Jones Visual Art Center. Stephen Rolfe Powell cited the 2018 Murano conference as a lifetime high point. Stephen was smitten by traditional Muranese glassblowing techniques, and finding new ways to speak in this centuries-old language. He was particularly inspired by Lino Tagliapietra for the mix of innovation and tradition he embodied. Lino's first visit to Centre College took place in 2000, and Stephen helped arrange for the maestro to be awarded an honorary doctorate by Centre in 2004. 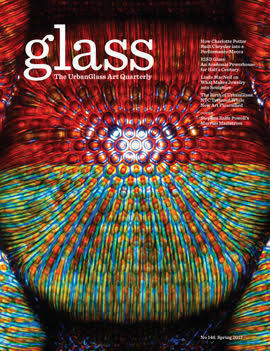 Stephen's newest body of work, his "Zoomers" series, was featured on the cover of the Spring 2017 (#146) edition of Glass: The UrbanGlass Art Quarterly. As contributing editor William V. Ganis put it: "The Zoomers arrest the process that Powell has engaged in for decades for his Teasers, Whackos, and Screamers." Ganis connects these works with the vivid coloration in the oil paintings Stephen had done during his undergraduate studies, and references critic James Yood's comment that Stephen was the "finest color-field painter in contemporary art." 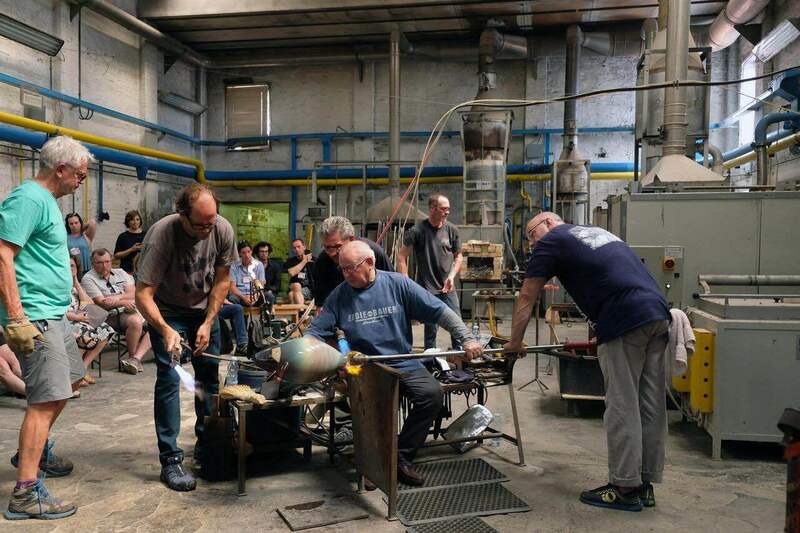 Powell exhibited and demonstrated in Russia, Ukraine, Australia, New Zealand, and Japan, and was a fixture at the annual Glass Art Society Conferences. 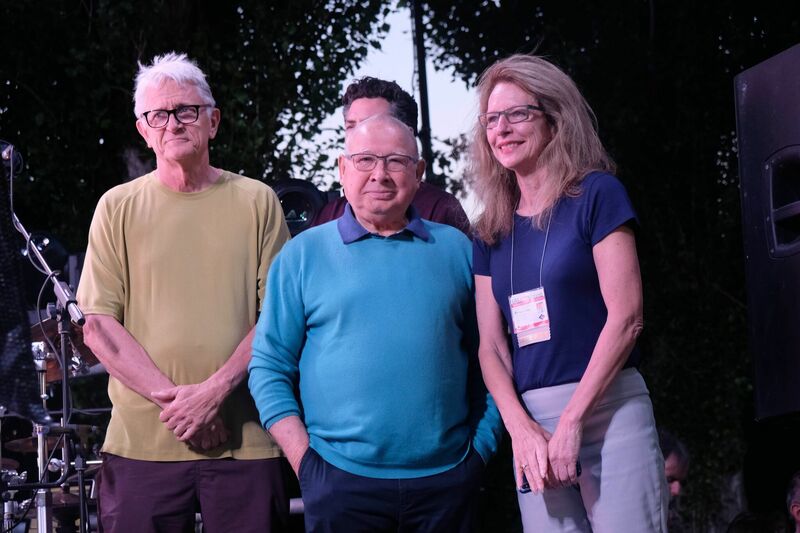 It was in Murano in 2018, where I saw him the most ecstatic, recognizing the significance of linking the Murano and American glass worlds in a single event. And it is his exuberant presence on stage and in the studio that I will always remember about his larger-than-life personality. 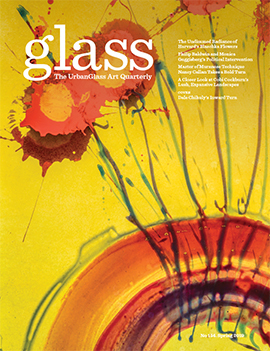 When we contacted Stephen for the oral history project we did about the Murano conference in the Fall 2018 edition (#152) of Glass, he was unequivocal about the importance of that event. "I've been in glass for a long time, and this was the most important and exciting event in my whole life. I was lucky enough to be one of the demonstrators and was able to make objects with some of my former students from Kentucky. 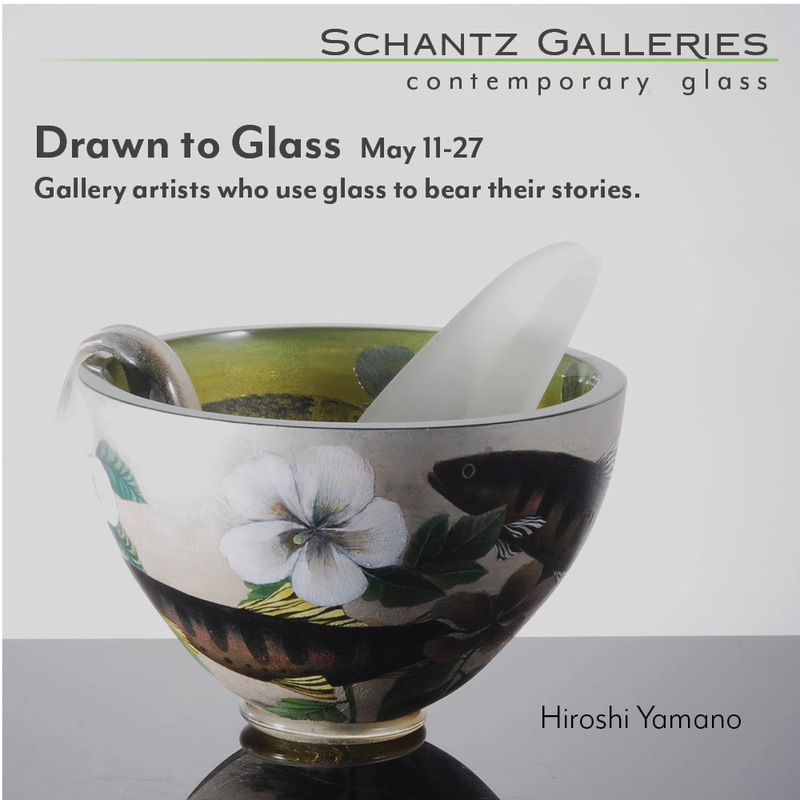 Just to make a piece at the Effetre glass factory was a high point for me, personally." 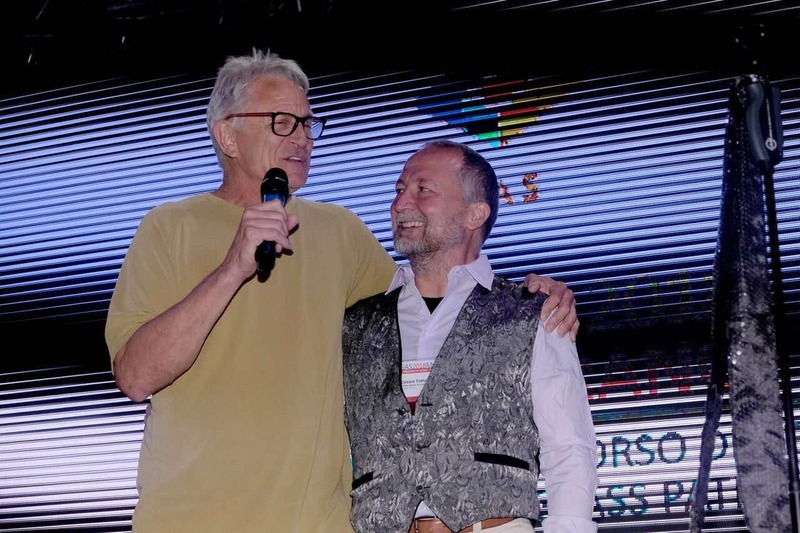 Stephen Rolfe Powell and Cesare Toffolo at the closing party at the 2018 Murano conference. The glass world will mourn the absence of Stephen Rolfe Powell at the upcoming Glass Art Society conference in St. Petersburg, Florida, where he was scheduled to give a demo on Saturday, March 30th, but there is solace in knowing that he was so present at the last one, the one that completed a cross-cultural conversation that Stephen's career embodied, and to which he devoted his artistic career.